Firefighters are unable to determine what caused a structure fire that spread to adjacent wildland and burned 412 acres last week west of Durango. Firefighters know the Lightner Creek Fire started inside a house and spread to the surrounding wildland, but they are unable to determine what caused the fire inside the house. The fire burned too hot, destroying any evidence that might lead them to the point of origin, said Scot Davis, spokesman for the Durango Fire Protection District. The cause will be ruled “undetermined,” he said. The fire started at a house owned by Christine Polinsky at 1255 Lighter Creek Road (County Road 207). Efforts to reach Polinsky on Friday were unsuccessful. In an interview with a Denver television news station, Polinsky said she left the house for about 30 minutes and returned to find it fully engulfed. She said she had no idea what may have caused the fire. Firefighters don’t suspect foul play. 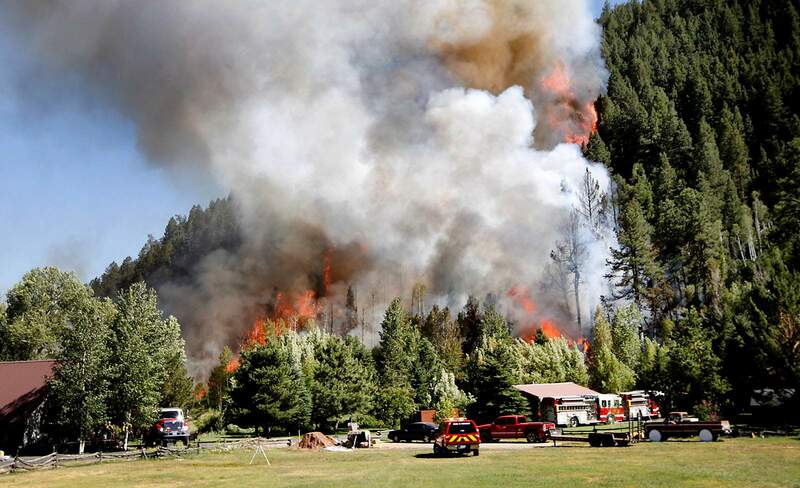 The Lightner Creek Fire started June 28 and burned 412 acres a few miles west of Durango. It forced the evacuation of 170 homes for about four days. Federal and state firefighters spent more than $2 million battling the blaze. The investigation has been turned over to private insurance providers, which can sift through the ashes to determine issues of liability.